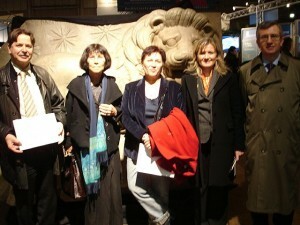 The copy of the Lion Horoscope is presented for the first time to the Dutch public during the fair Life in Turkey. 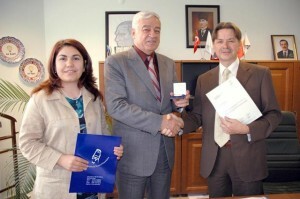 The consul-general, Mr. Ahmet Akif Oktay, unveils the famous artefact. The INF medal of honour is presented to Professor Dr. Herman Brijder, chair of classical archeology of the University of Amsterdam, during the 5th anniversary of the 14th of July celebration. 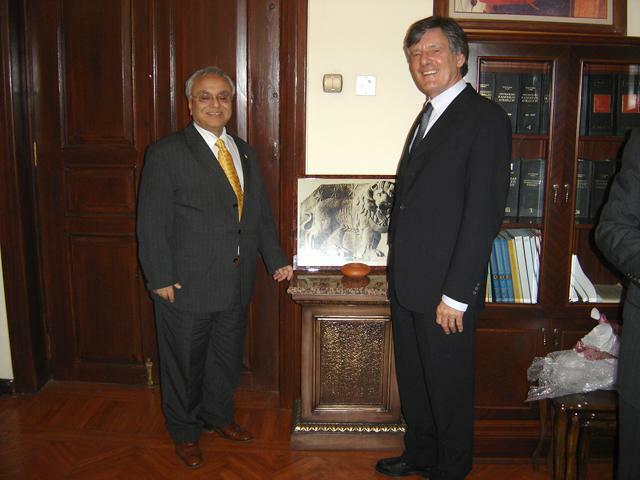 A photograph of the Lion Horoscope was presented to the Minister of Culture and Tourism, His Excellency Mr. Atilla Koç, by Professor Dr. Herman Brijder of the University of Amsterdam. 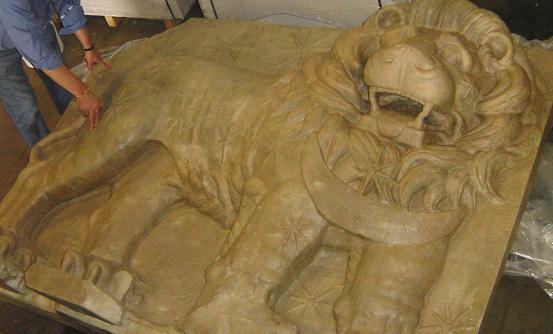 The Gipsformerei der Staatlichen Museum in Berlin casted a copy of the undamaged Lion Horoscope as found by Karl Humann and Otto Puchstein in 1882 at Mt. 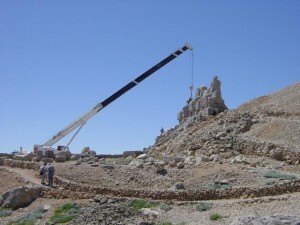 Nemrud. The copy of the Lion Horoscope is ready for transport to Turkey. 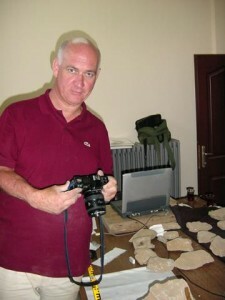 Prof. Dr. Eric Moormann of the University of Nijmegen is conducting the research for tuffit fragments of the Dexiosis Reliefs in the Museum of Adiyaman. The INF medal of honour was presented to Mr. Dengir Mir Mehmet Fırat, Deputy Chairman of AKP, during the 4th anniversary of 14th of July celebration. Prof. Dr. Herman Brijder of the University of Amsterdam is supervising the computer updating of the S.I.S. 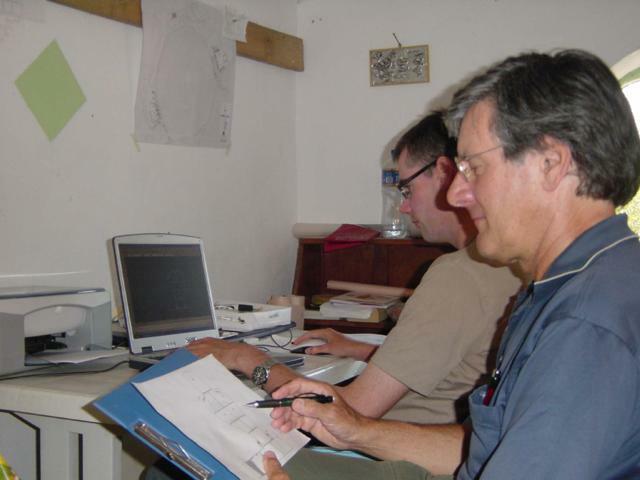 (Site Information System) by the archaeologists. 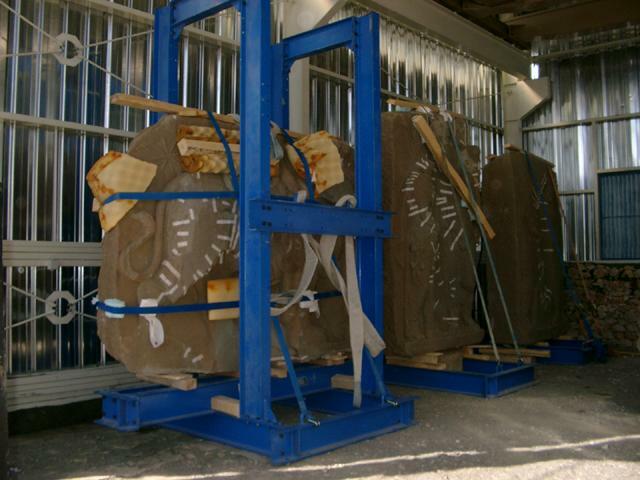 The Dexiosis reliefs are safely stored in the restoration house without any damage. The mobile crane and the Mack truck provided by Enka are put into position. 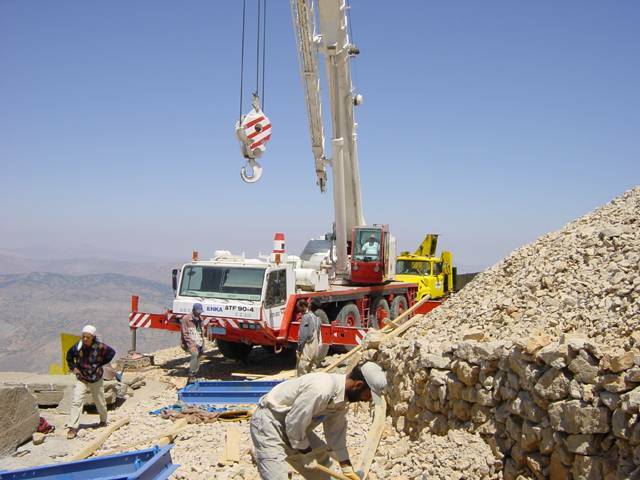 The fragile and partly delaminated reliefs are lifted, packed into a prefab steel frame, and placed at the heavy truck. 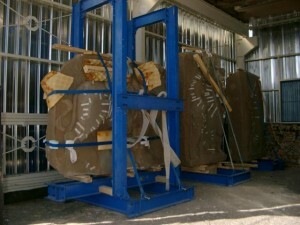 Next they are transported one by one to the restoration house. 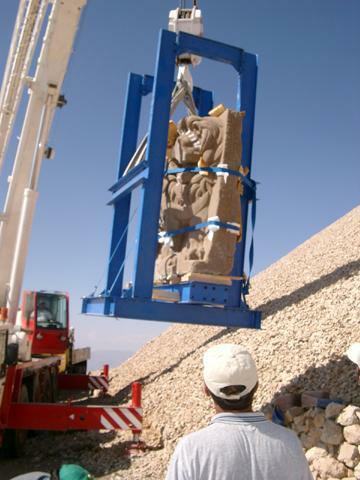 The Antiochos statue is carefully reassembled.